Do you envision yourself living the dream along Florida’s gulf coast? Look no further than Destin. From affordable family homes all the way to multi-million dollar oceanfront stunners, it is possible to make this community your home. 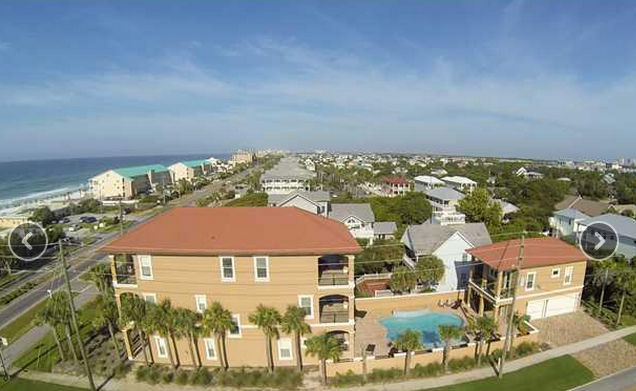 Whether it is year round gorgeous Florida living or an interest in a rental property that can generate income, Destin meets the needs of those looking to be a part of this sought after and cherished Emerald Coast community. Destiny by the Sea is an exclusive gated community along the beautiful gulf. Sandy white beaches and warm waters await you with exquisite homes available for your selection. Private beach access, a top of the line community pool, and an overall environment of prestige and relaxation await you at Destiny by the Sea. The fashionable Mediterranean home style in Destiny by the Sea will surely draw you in as these beautiful homes convey quality, elegance and relaxed Florida comfort. Choose from large ocean front villas to quaint beach homes all capturing the unique beauty of this special area. This is a fantastic community for full time residents as well as potential investors. Prestigious Kelly Plantation is a golf lover’s paradise with an 18-hole championship course located directly within the community. Visit the Kelly Plantation Golf Clubhouse for a casual yet elegant meal or reserve space for a private event. With walking and jogging trails and top rate shopping and dining options nearby, Kelly Plantation has something for almost everybody. Surrounded by 900 acres of wetlands and marshes, the area is teaming with wild life. Many homes border wildlife preserve property which creates a relaxing, private and always peaceful atmosphere. When the developers created Kelly Plantation, they envisioned a “Masterpiece by the Bay” and we believe this has definitely been achieved! Crystal Beach is a premier beach resort located in Destin, Florida. With homes, condos, and town homes available, you can be up close and personal with the relaxing views of the gulf and just steps away from luxurious Florida waters close to your home. With a wide array of homes available, there is something for every price point in Crystal Beach, with $221.300.00 the median price point. Dozens of restaurants are within walking or a short drive of Crystal Beach. Try dining at local favs the Saltrock Grill or the Lucky Dill for delicious Florida inspired cuisine. With over 243 days of sunshine a year (and never a snow day to maneuver), the days seem endless as you enjoy your affordable dream lifestyle.